SRPNEF serves as a funder, and environmental education program development resource, to support educators, school districts, youth agencies and other non-profits with the goal of creating educational experiences that will shape the development of a young citizen towards a life of environmental stewardship. The Foundation is a non-profit, environmental project-based learning program. Students actively become aware, explore and address environmental challenges while building skills in teamwork and communication, research, data collection and analysis, community engagement, and reflection. The Foundation’s programs enable and require students to delve deeply into a range of academic content while investigating environmental issues affecting the natural world in their own backyard. Programs and projects are fun, full of adventure and provided at no cost to students. We serve youth in grades 3-12 and provide scholarships for graduating seniors who are pursuing a field of study in the environmental sciences. 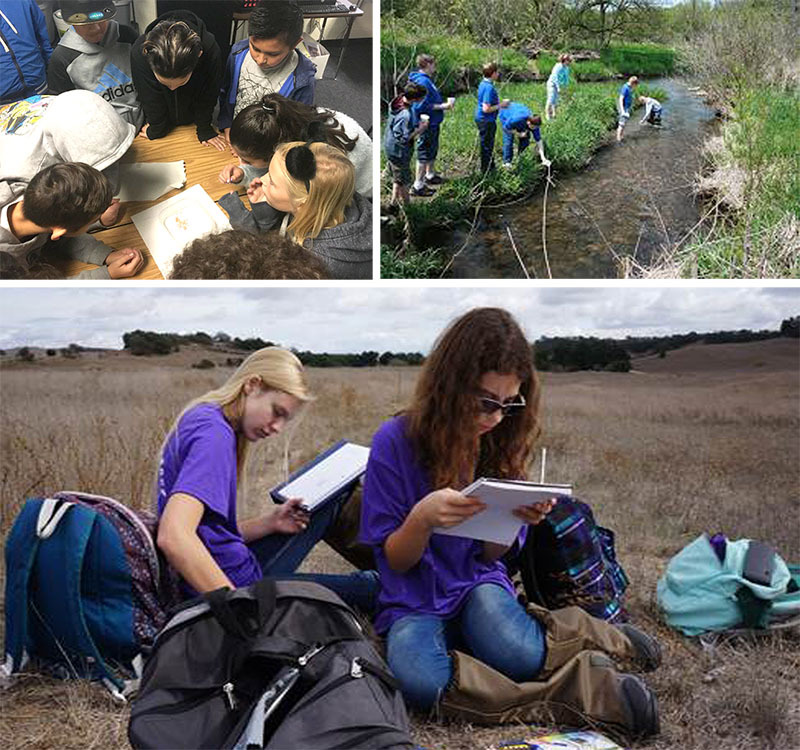 Programs and projects are conducted at protected open spaces, such as the Santa Rosa Plateau Ecological Reserve, the Santa Margarita River Ecological Reserve, local watersheds, creeks and in individual classrooms. The service area for SRPNEF programs and funding support is within the communities of ten school districts in Southwest Riverside County. See Programs / Initiatives for specific program descriptions.